It’s no secret that Adventures Within Reach is primarily in the adventure business, specializing in treks, countryside biking, and guided explorations of the amazing archaeological sites, cities, villages, cultures and landscapes of Southeast Asia. But many of our travelers also appreciate some quality down-time on the beach, to unwind and relax, and in Thailand, beaches are never really far away. And everyone knows how beautiful the beaches are. While many coastal areas have been overwhelmed by development, there are just as many that are still incredibly beautiful and worthy of your time, whether it’s a quick 3 days or a full week. Many of the nicest ones are on islands, so we’ll touch on a number of the better- and lesser-known islands in this post. 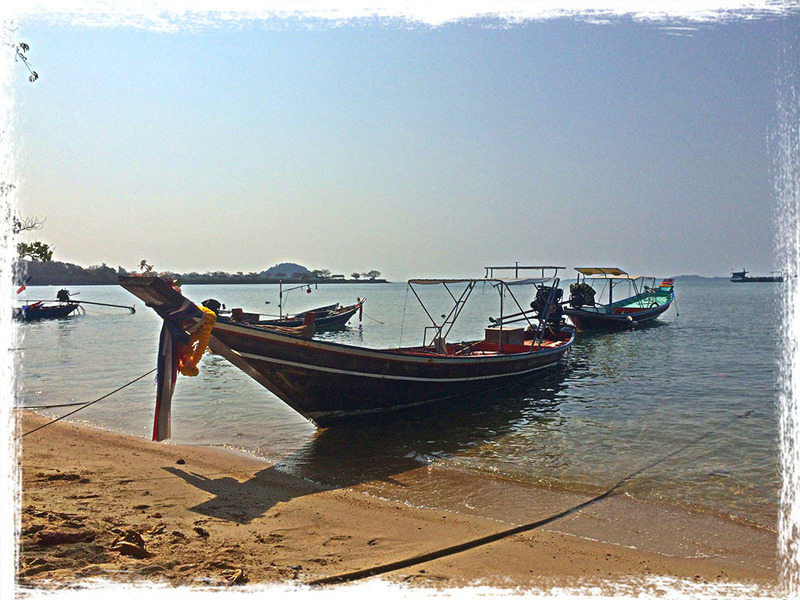 It’s easy to add beach time to any custom AWR trip in Thailand, just ask! If time allows, be sure to enjoy a stroll on the enchanting long and empty beach at Thai Muang situated about an hour drive’s north of Phuket in Phangnga province. Travelers always ask for long deserted beaches and this one works to perfection. 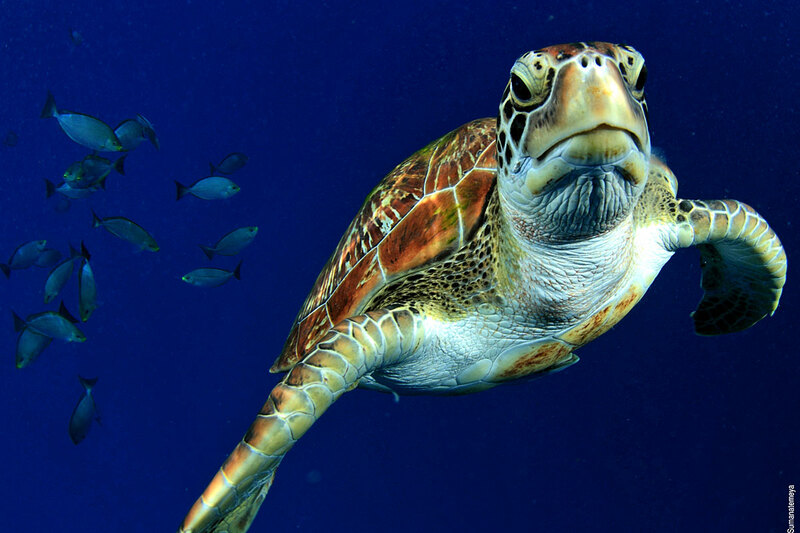 It is a wild, protected area, with sea turtles arriving to lay eggs from December to February. Hiking in the Khao Phra Taeo forest, the island’s last surviving rain forest, can be a magical experience. The forest here is home to hornbills, macaques, assorted snakes and the rare white palm, considered endemic only to Phuket. The Gibbon Rehabilitation Center in the Khao Phra Taeo forest reserve rehabilitates gibbons that have been used as photo props for tourists. Here they are gradually rehabbed and released into the surrounding primeval forest. 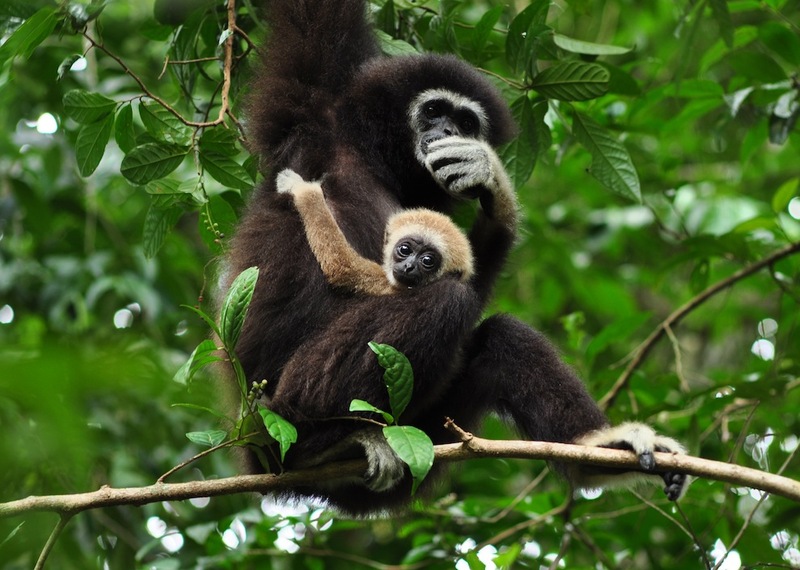 This is one of the most successful primate projects in the world with scores of releases over the last 20 years. Travelers can hire a long tail boat and take a day trip to the island of Koh Yao Noi from the small local pier at Bang Rong on the northeast side of Phuket. Here the rugged green vista of Phang Nga Bay opens up, with its towering limestone outcrops rising straight from the sea. This may be a little further afield, but well worth considering for nature lovers is a guided day trip from Phuket to Khao Sok to visit the oldest rainforest in Thailand. The highlight of the trip is Cheow Lan Lake with its towering peaks, peaceful green waters and quaint floating houses. It’s only a few hours’ drive north of Phuket. Closer in, right in Phuket, is the fresh market on Rassada Road. We’d suggest an early morning visit, maybe around 7 am or so, when it is bustling with action. The sights, people and smells are sure to surprise even the most well-seasoned traveler. Not terribly far away is the unique amulet market in the small soi (side street), just opposite of the Shrine of Serene Light (Thai Saeng Jao Tham) on Phangnga Road in Phuket town. At the market, amulets can be “rented” either for luck or protection. 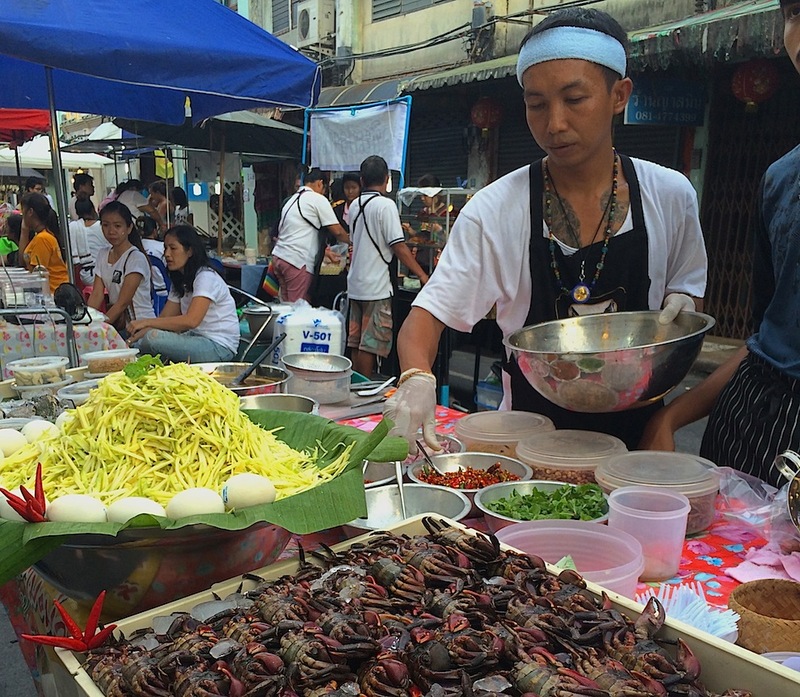 Located above a small klong (canal), the market is one of the hidden gems in town. The Shrine of the Serene Light is itself a pleasure. It is one of the oldest shrines in the city and is the place to ask the Chinese gods what will happen to you in the future. Then on Thalang Road in Phuket town, you can check out the Nguan Choon Tong Herb Shop (look for the sign, “Oldest Herbs Shop”). This is the oldest traditional pharmacy in town. They have been creating potions and remedies for over 70 years. Just tell them what you need and they will prepare a custom-made medicine or tea based entirely on natural products. The shop is living history. The most popular of the islands on the east coast of Thailand. Typically it’s most popular with our travelers when Krabi and Phuket are in their monsoon season, which is generally June, July, and August. Samui is great because you can fly directly there from Bangkok or take an easy ferry from Surat Thani. A ton of amazing hotels are located on the beaches with a nice variety of water-based activities including snorkeling Ang Thong Marine Park, sunset cruises and sea kayaking. This island is best known for its diving resorts. A lot of people come here primarily because it’s a cheap place to get your dive certification. Located off the east coast of Thailand, it’s primarily the haunt of backpackers looking for cheap accommodations and divers, so we rarely send travelers here. Another minus is that it’s the furthest island of the three main ones of the East Coast Islands and there’s really not much to do activity-wise here other than diving. This is a much quieter and laid-back island compared to a popular tourist island like nearby Ko Phi Phi. Most people who travel here are luxury clients who stay at Pimalai Resort and Spa and Layana Resort and Spa. This island is much more easily accessible from Krabi and most people go there to have time free at their leisure to explore the sights on their own. Lanta is not nearly as busy as Phuket or Krabi but one should also bear in mind that there’s also much fewer choices in restaurants, bars, etc. Most notable for its “Full Moon Party,” it’s heavy on the backpacker and party scene. While not popular with our travelers, there are some really beautiful resorts for the high-end American travel market. It’s located in between Samui and Ko Tao. Most often reached by boat from close-by Phuket with Yao Yai resorts usually organizing the service, like a private water taxi. 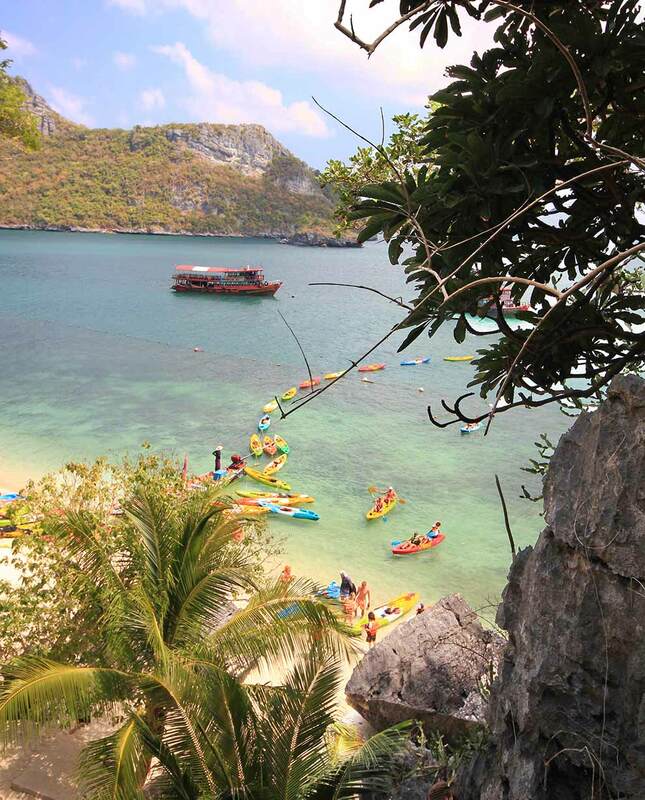 This is a quiet, relatively undeveloped island with stunning beaches and nice views of nearby karst islands. There are almost no cars on the island. You are probably more likely to hear the sounds of fisherman setting and lifting nets. This is a great island to “unplug” and get away from it all. Ko Yao Noi is nearby and another nice island to visit, though a little more developed. This entry was posted in Southeast Asia, Thailand. Bookmark the permalink.